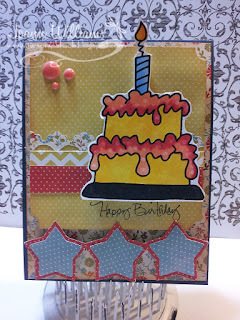 ~Jo's Scrap Shack~: FFC #11 Sketch Time with Bugaboo! FFC #11 Sketch Time with Bugaboo! One lucky winner will receive 7 digital stamps! So make sure to play along! My card today is an A2 sized card. I used some royal blue CS from Colorbok for my card base. All the patterned papers are from My Mind's Eye's "On the Bright Side" paper line. For my main layer, I used my "stub" corner chomper on each corner and inked all my edges using some tea dye distress ink. 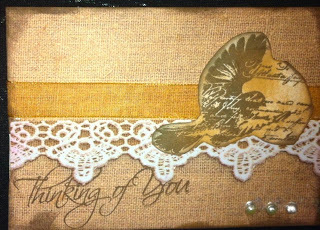 I used my scallop punch from Martha Stewart for the edge along the middle strip and adhered that to some of the patterned paper. 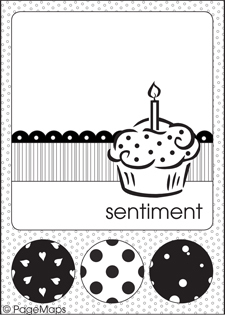 My sentiment, "Happy Birthday" is from PTI's Handwritten Notes stamp set. This set has been a favorite of mine for years. My cute cake is a digital image from Bugaboo! I colored it in using my copics R02, R29, Yr02, Y15, Y18, Y21, B32, B41 and 100. I also used my colorless blender to add some dots to my icing for some texture. My cake image is popped up on some foam tape for dimension. The stars were punched out using my old Creative Memories star punch in the 1/4" and 1/2" sizes and are also popped up for dimension. 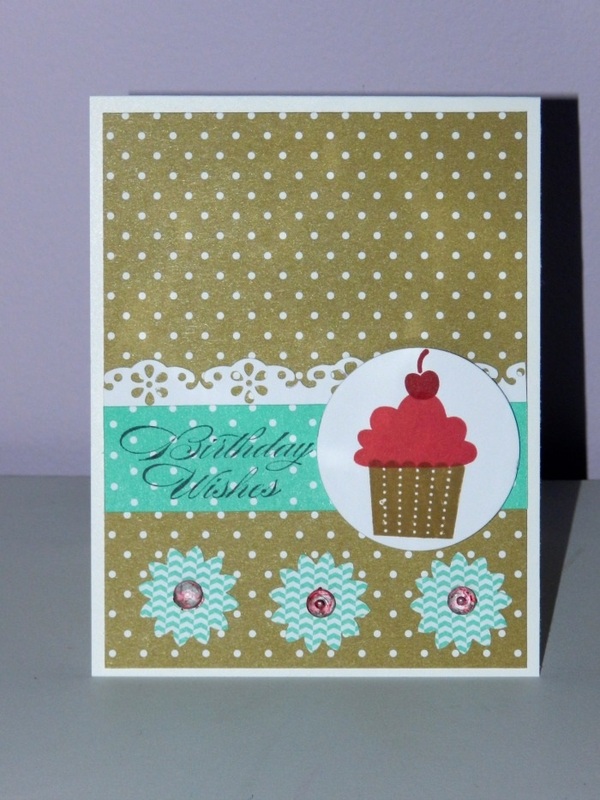 To finish the outside of the card, I added a few enamel dots to the corner. I felt like it needed a little something extra. My card's inside sentiment, "Everyone knows Birthday calories don't count" is from Stampendous. Well that is my card and I sure hope you liked it! I really liked how this turned out. You have until August 9th by 6:00Pm (central) time to link up. All winners will be announced on Monday, August 12th. 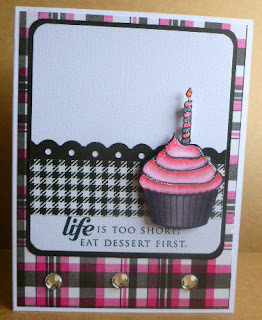 Simon Says Stamp "Anything Goes"
Craftin Desert Divas "Birthday Linky Party"
Crafty Ribbons #55 "Use one or more circles"
Cute Card Thursday "Anything Goes"
Hanna & Friends "Anything Goes"
Paper Crafting Journey "Punches or Die Cuts"
Inspire Me Fridays "Anything Goes"
Peachy Keen Stamps "Anything Goes"
Jo, this is cute, cute, cute! Love your layers and birthday cake and the stars. Love the inside too. Love your card Jo! That cake is fabulous and I love the way you colored it! The papers are awesome and go so well with your cake and I love, love that cute sentiment!! Thanks for a fun challenge sketch! Hugs! A lovely card Jo, and a great take on this sketch! This is such a cute sketch !! I am usually intimidated by sketch challenges but I sure would like to try this one ! Your card came out super cute !! Love the colors you used !! 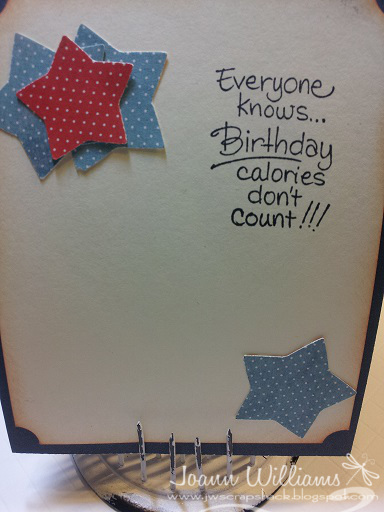 Your card is TOTALLY cute, JO! Love sketch challenges!! 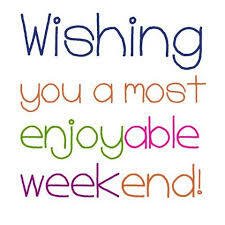 !I will be crafting this weekend and will join the fun!! Great card Jo, took me a while to spot the circles! Lol. Thank you for joining in with our Use one or more circles challenge at Crafty Ribbons this time. Such a sweet creation. Thank you for joining us at PCJ Challenge. This is just super. Great job Jo!! 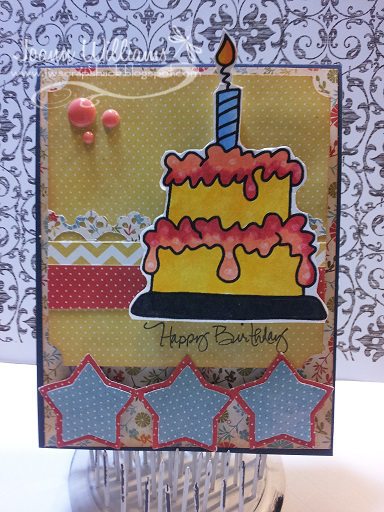 Thank you so much for joining us at Craftin Desert Divas “Birthday“ Linky Party. New Linky Party starts Monday hope you will join us again!! Adorable adorable! I love cupcakes! Sketches always scare me! lol Love this challenge! What a yummy cake! Love the coloring. 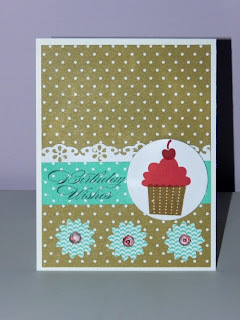 Thanks for playing along with the Anything Goes challenge over at the Simon Says Stamp Wednesday Challenge Blog this week!